As you know, Laurie is hitting the road for the publication of SHOUT, and many of those events include a book as part of the ticket. We’ve got good news for those who can’t make an event but still want a signed copy — Children’s Book World will be handling signed preorders! 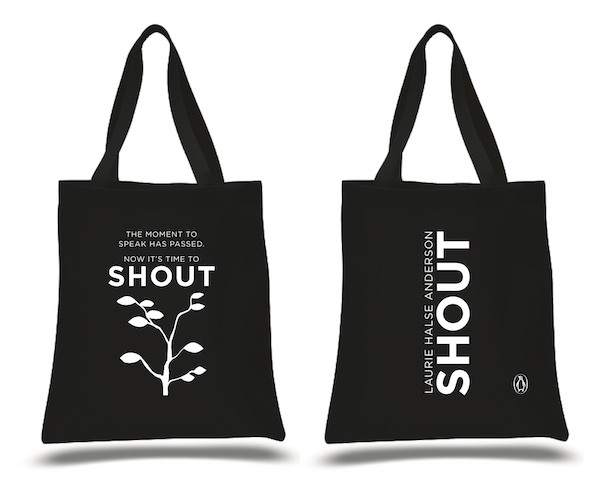 If you preorder through them, you’ll get a signed copy of SHOUT plus a limited edition tote bag. In addition, for every preorder of SHOUT by Laurie Halse Anderson received before 3/11, Penguin Young Readers will donate $1 to RAINN, the nation’s largest anti-sexual violence organization (up to $5,000). So you can get a signed book, get some swag, and do some good all in one. Full details are right here.